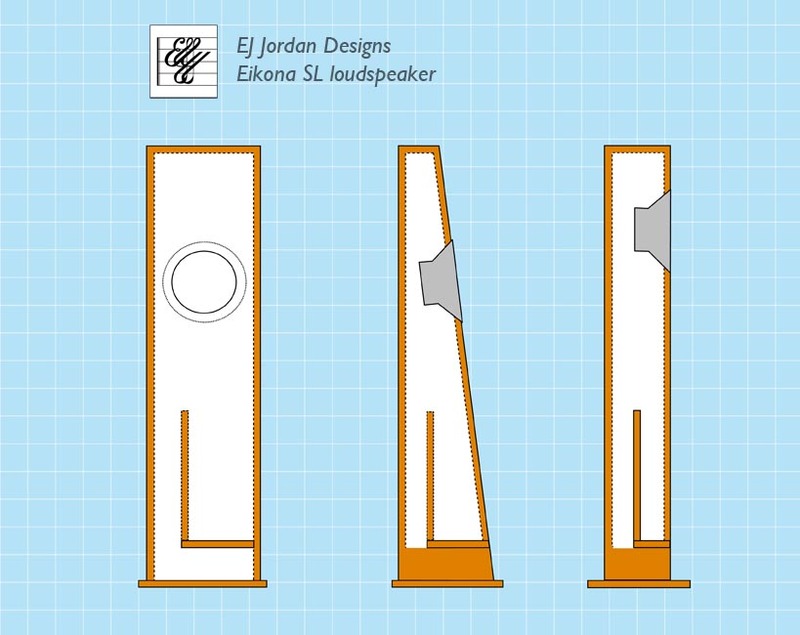 The Jordan Eikona 2 is designed to suit a range of enclosure designs and alignments. It will work well in a sealed enclosure of 4 litres (including driver), giving good bass to 85Hz in a very compact cabinet. An example is 5.5 litre BBC LS3/5a cabinet above, which featured in our blog). Alternatively a metre-high floor-standing, mass-loaded, transmission line enclosure will reach to 27Hz. The inherent scaleability of the Eikona 2 is discussed in full in our Audio Building Blocks blog series. Below are enclosure designs currently available as plans from us. Other designs are on forums around the web and we’re always interested to hear what people build with our units – please send details and photos to our Sales address. For customer comments see the Testimonials page and search for Projects in our blog. To download the PDF plans, click the titles. We are always happy to support our customers in any way we can when they are building one of our published designs. Or if you have a design of your own and require input, send us an email. Kits and complete cabinets for the Reflex 7, VTL and DCR are available from Wilmslow Audio and BK Electronics. 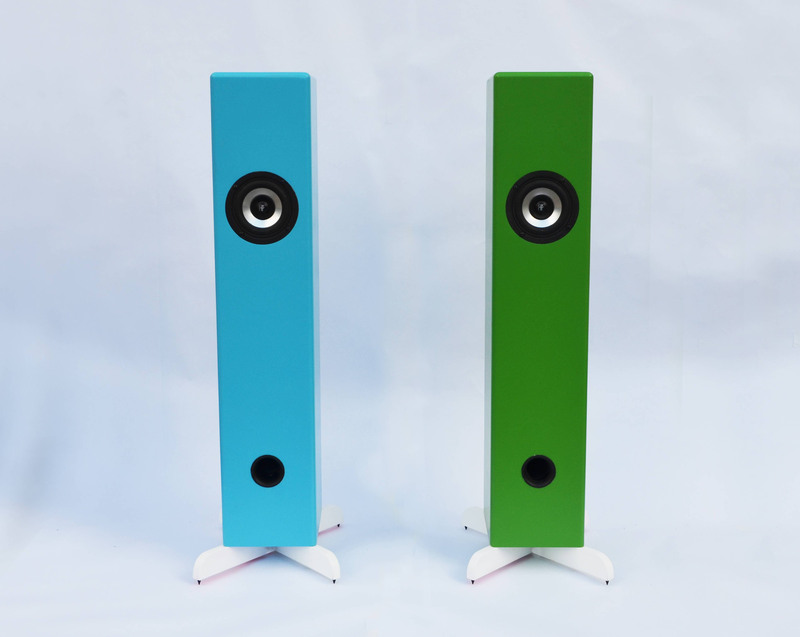 A compact bookshelf or stand-mount loudspeaker capable of reaching below 50Hz. 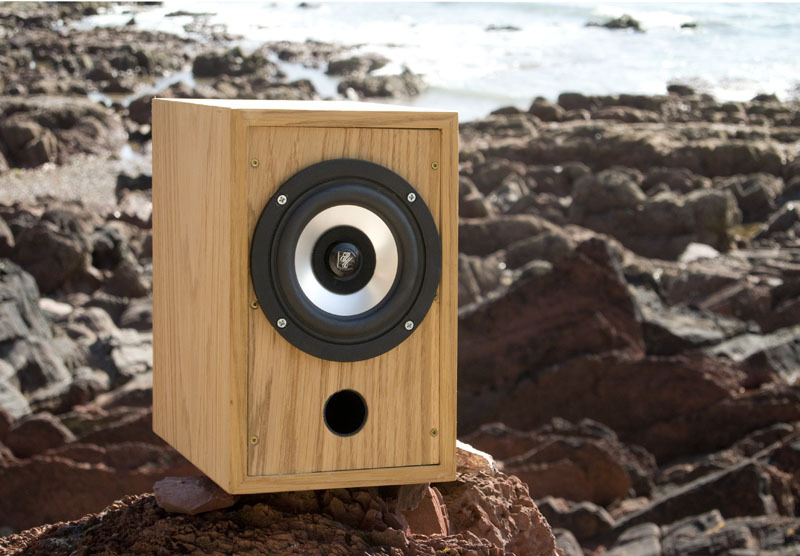 A compact, floor-standing cabinet which is capable of excellent bass response and is easy to build. There are two versions to cater for all levels of DIY skills. Full details are on the Eikona SL blog. Ted Jordan’s classic VTL transmission line enclosure is capable of superb performance down to 35 Hz. The cabinet is 30 cm wide but only 10 cm deep, which makes it very easy to accommodate. The Eikona VTL received an impressive testimonial which features on our blog and there is further background information to the design in this article. The Dual-Coupled Reflex is a wide baffle enclosure for a pair of Eikona 2 units, designed by Ted Jordan. The use of an extra Eikona driver increases sensitivity and headroom. Connecting the drivers in series gives a 12 ohm load, which is ideal for valve/tube amplifiers. The enclosure can be floor-standing or wall-mounted. 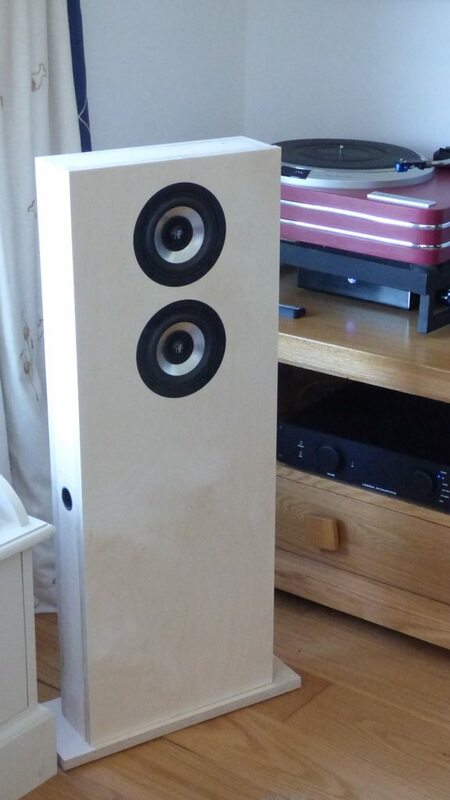 You can read about a stunning floor-mounted build as well as listener comments on our blog. This design is discussed in full in our Audio Building Blocks series. The 1.2 metre tall enclosure houses 4 Eikona units, giving 92dB/watt sensitivity and 400 watts power handling, plus all the imaging benefits of a line array. It is a reflex design, intended for use away from walls. For an against-the-wall enclosure, see the Triangular Array below. This is our latest Linear Array design. 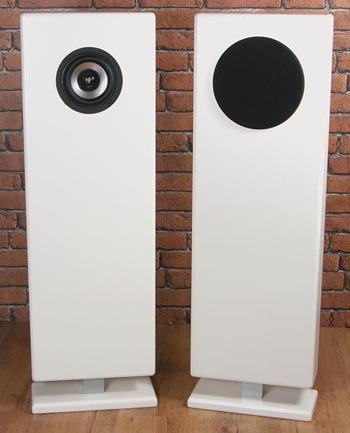 It features four Eikonas per speaker in an elegant triangular column. The enclosure shape has a number of benefits which are explained in our design blog. 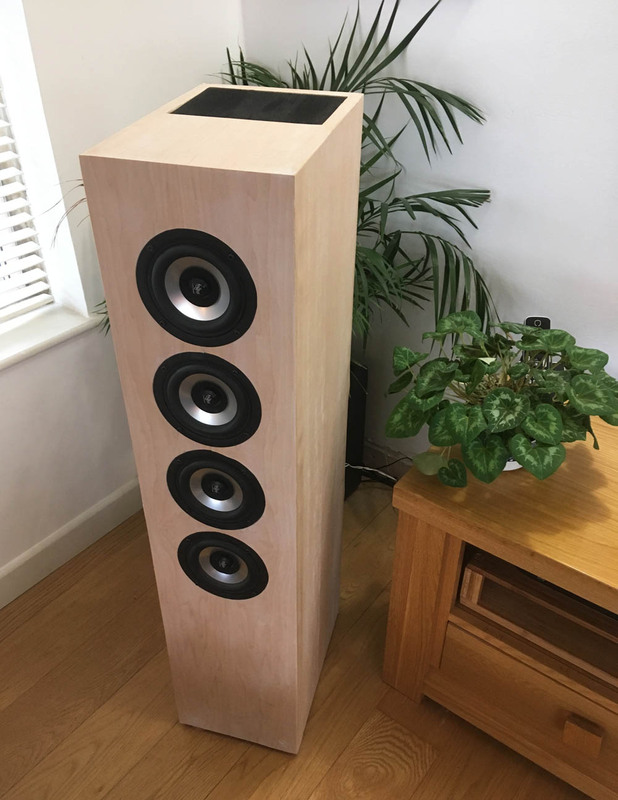 The system is aimed at high-end home cinema systems and hi-fi systems where the speakers need to be discrete but capable of concert-hall performance. 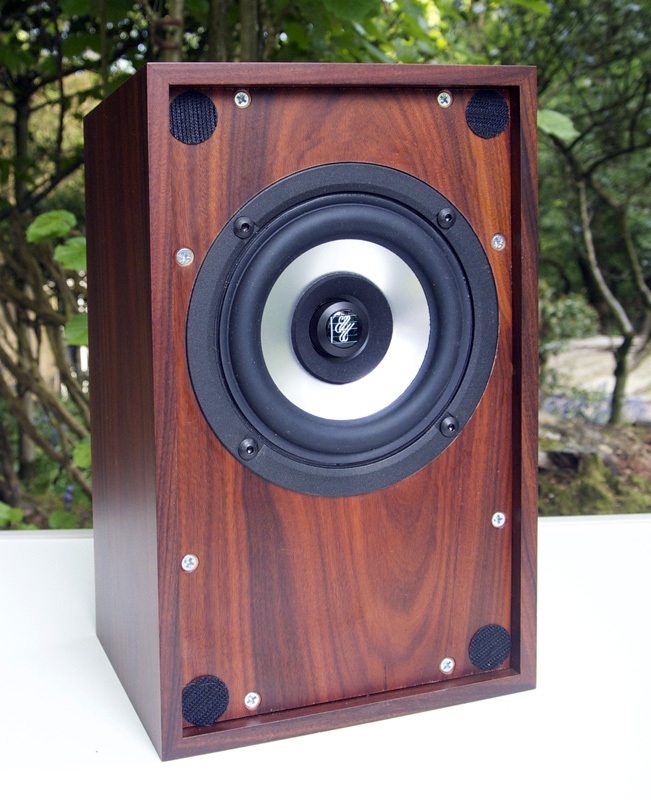 The enclosure is sealed with a QTS of 0.7, which is ideal for use with a sub-woofer. You can download the plans for the Triangular Array here. Our largest and most powerful Eikona loudspeaker to date. The TLA is a substantial, transmission line speaker capable of handling the full power and majesty of orchestral music. The line has been carefully optimised for the Eikonas and the design is receiving rave reviews from constructors. Read the design blog and download the construction guide here. This is a 1-metre high mass-loaded, transmission line designed for us by Mark Dikovics. This slim enclosure is -3dB at 27 Hz and is capable of handling the full orchestral range. 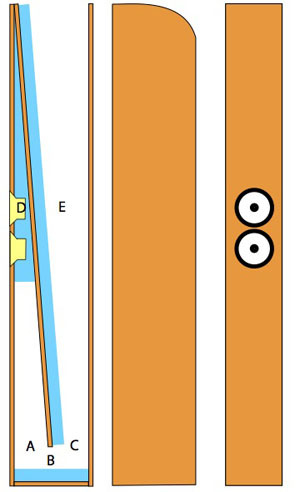 As the name suggests, this is a shorter version of the MLTL38, sacrificing a small amount of extension of a more domestically-acceptable size. It was designed for the Eikona 2 by Jim Griffin and you can read more about it on our blog. These 2-metre high enclosures are offered in response to a number of requests for a larger, horn-type design and you can read more about them on our blog. Two plans are offered, using either single or dual Eikonas. They are designed to operate in room corners, with the output of the line firing towards the ceiling.